Healthy turf grass is the key to keeping weeds away. When roots are strong, grass simply won’t get out of the way for weeds to emerge. That’s why we focus on turf grass improvements first. For those stubborn weeds that manage to get through after we have strengthened your lawn, we have the right treatments to eliminate them too. 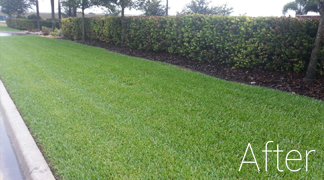 Because South Florida lawns are susceptible to such a wide variety of weeds, diligence is required to eliminate all of them. Lawns don’t have to have diseases. Diseases are caused by microscopic biological organisms called fungi or mold that attack weak, stressed grass plants. These organisms change the appearance of the grass blades and disrupt the growth process, causing the grass to die or at least look bad. 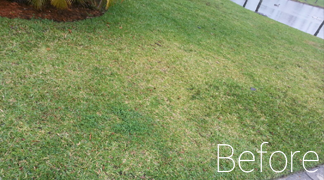 Problems can first manifest as circular patches in turf grass where the green color is uneven or grass leaves have spots. Left untreated, the disease will often get worse and spread over a larger area.